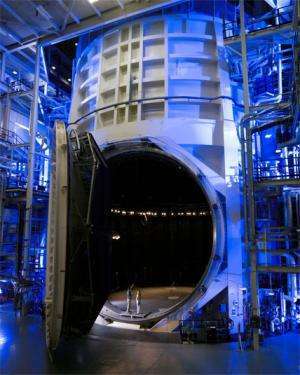 NASA's "Chamber A" thermal vacuum testing chamber famous for being used during Apollo missions has now been upgraded and remodeled to accommodate testing the James Webb Space Telescope. When the next-generation space telescope was being designed, engineers had to ensure there was a place large enough to test it, considering it's as big as a tennis court. That honor fell upon the famous "Chamber A" in the thermal-vacuum test facility at NASA's Johnson Space Center in Houston, Texas. Chamber A is now the largest high-vacuum, cryogenic-optical test chamber in the world, and made famous for testing the space capsules for NASA's Apollo mission, with and without the mission crew. It is 55 feet (16.8 meters) in diameter by 90 feet (27.4 meters) tall. The door weighs 40 tons and is opened and closed hydraulically. For three years, NASA Johnson engineers have been building and remodeling the chamber interior for the temperature needed to test the Webb. Testing will confirm the telescope and science instrument systems will perform properly together in the cold temperatures of space. Additional test support equipment includes mass spectrometers, infrared cameras and television cameras so engineers can keep an eye on the Webb while it's being tested. "Some of the things we've done is upgraded our helium system, our liquid nitrogen system, and air flow management," said Virginia Rivas-Yancy, project manager, Air Flow Management System at NASA Johnson. Temperatures in Chamber A can now drop farther than ever—down to -439.9 Fahrenheit (-262.1 Celsius or 11 degrees Kelvin) which is 11 degrees above absolute zero. "The air in the chamber weighs 25 tons, about 12 1/2 Volkswagen Beetles; when all the air is removed the mass left inside will be the equivalent of half of a staple," said Ryan Grogan, Webb Telescope Chamber A project engineer at NASA Johnson. A very large clean room is also being prepared near Chamber A where the observatory will be prepped for testing. The test itself will take 90 days. The first 30 days will consist of cooling the chamber down. 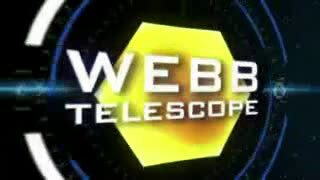 The next few weeks will include tests on the Webb's operating systems, and the remainder of the time will be spent warming up the chamber to room temperature. Test articles are normally inserted into the chamber by means of a precision mobile crane, but the Webb is so large, it will be folded up and wheeled in.